Fish finders are essential tools for detecting fish and other submerged structure that would otherwise be unable to be seen by the eye. Utilized by anglers, commercial fishermen, hobbyists, and even just recreational fishers at the edge of a pond, fish finders are gaining popularity rapidly. With the rate of modern technological advancement, many new useful features are available, and so many models are on the market. A fish finder’s transducer is typically large, making it nearly impossible to transport from time to time. If you have two different boats, one relatively small one and a second larger one, it would be nice to only have to buy one fish finder that would work well for both. Another scenario; perhaps you don’t live near any sizeable ponds, lakes, or rivers. Instead, you decide to occasionally take trips out to the Lake Lanier region in Georgia during the season. 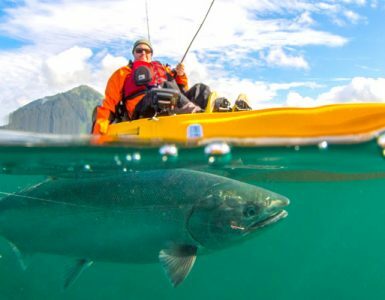 You can’t really bring your own boat, so you decide to rent a nice but small 10-foot fishing kayak when you get there. In both these situations, a portable fish finder would solve the issue. Portable fish finders generally have higher mobility, are smaller in size, and are perfect for quicker trips and smaller watercraft. Because of their reduced size, however, there may be a significant difference in power and overall performance. As technology advances, more features are being presented to the market of portable fish finders. This article will aim to give a basic top ten lists to base your research on, and clear up some confusion about best portable fish finder. Number ten is the iBobber Castable Bluetooth Smart Fish Finder. Bluetooth technology has been around for the past few years, and has crept its way into almost every market available; cell phone communication, gaming systems, microphones, speakers, and now even in the fish finder market. The iBobber is a rather simple fish finder based around the use of a smartphone or tablet with bluetooth capability. The iBobber itself acts as the transducer of the fish finder, while it connects to the smart device through Bluetooth, making that device a display. The main selling point of the iBobber is portability and ease of use. This fish finder was made to attract the simpler users in the industry. The simple to use fish finder has features such as two display sizes for fish, an audible strike alarm, GPS hotspot and area tagging, and a rechargeable eight hour battery. The iBobber has depth detection capabilities from 3 feet to 135 feet. The bluetooth connectivity does not cause a problem in regards to how far the Bluetooth device can connect to the iBobber – this modern fish finder can stay connected to phones and tablets that are 100 feet away. Waterbed contouring is also provided, with a 90-degree sonar scanning field. This fish finder is great for ice fishing, bank fishing, and fishing at slow speeds. It’s important to remember that because this is not a mounted fish finder, you can’t reel it in too fast if you would like an accurate reading. At only $***, the Reel Sonar iBobber is a great unit for entry-level, occasional, and bank fishers. The ninth model on this list is one of the most well-known portable fish finders on the market. Almost every fishing fanatic has purchased one, heard about the unit, or knows someone who does – it’s the Norcross HawkEye F33P Fish Finder. The HawkEye is famous because of its low price, and may even be considered the ‘Gateway Fish Finder’. The well-functioning unit retails for $***, and has all the features needed for any occasional or amateur fisherman. This entry level model utilizes a wide sonar emission to provide not only waterbed mapping, but accurate structure, fish, and depth readings. This fish finder is operational from 1.5 feet to almost 100 feet. With the ability to function in waters anywhere above 0 degrees Fahrenheit, it is possible to take this versatile fish finder on ice fishing trips. Another great feature of the HawkEye is that it comes with three types of transducers; a trollable, mounted, and floating transducer prepare users for all situations. The battery can function from 20 to 30 hours of continuous operation – making the HawkEye one of the longest lasting portable fish finders on the market. The simple display has a resolution of 160 x 132, with no color option. This model is backlit, small enough to fit in your hand, and utilizes F33P algorithms to ensure accurate readings. It is also equipped with an audible alarm so users are aware. The HawkEye comes with fish detection sensitivity, so you can change how big the minimum size fish you want the unit to detect will be. It’s no wonder the HawkEye is such a well-known device, and some even have this as a backup or secondary fish finder. If this is your first fish finder you purchase, you can’t go wrong. Can you imagine a $*** fish finder with high-end features like down imaging, Fish ID+ technology, and high-speed functionality? If you can’t, then the Humminbird 409670-1 PiranhaMax 197C Color Fish Finder might surprise you. Down imaging is an advanced scanning technique that eliminates sonar noise and ensures clearer results; usually only found in fish finders in the $*** plus price range. Fish ID+ allows users to have a better idea of the fish in the waters. For $***, the PiranhaMax 197C seems like it can’t be beat. This reasonably priced fish finder also comes with a full color display. The only downside is that the PiranhaMax 197C is not technically a portable fish finder – the transducer must be mounted to a transom. It is considered portable by many, however, due to its quick and simple setup. The 197C comes with audible alarms as well, making detection even easier. With a temperature and depth sensor, it’s hard to go wrong when purchasing a Humminbird PiranhaMax 197C. This fish finder was made especially for the amateur fisherman or angler that wants a high-quality fish finder for a fraction of the cost, and it achieves its goal. No other fish finder on the market offers the features this one does in its price range, and dollar for dollar, this is one of the smartest fish finders to buy. If you are looking for a highly portable unit, then this is not the device for you. The Signstek FF-003 Portable Fish Finder is a great unit for all fishers and anglers. Not only does this unit come with a full color 240 x 160 LED backlit display with 512 colors, the FF-003 is highly portable and easy to operate. The unit retails for $***, but unused ones can be found at half the price if you look for them on popular online markets. What earns this fish finder number seven on this list of best portable fish finders is its depth detection range of 2 to 240 feet that is accurate to an outstanding tenth of a foot. This accuracy is possible due to the 200 kHz/83 kHz frequency dual beam transducer. The miniature transducer can be taken anywhere, and includes a water temperature reading sensor. The display is durable and waterproof, so there’s no need to worry about damaging it. The device is also operable in conditions as low as 0 degrees Fahrenheit. This multi-language fish finder also supports depth and fish alarms. Bank, kayak, ice fishing, and more can be achieved with this versatile fish finder. This unit was made to be able to suit not only amateur fishers, but also be useful to professionals. It is relatively cheap, and even comes with a screw just in case you would like to temporarily mount the transducer. This is a fantastic entry level model, but the great thing is that it is also made for experienced anglers and fishermen. Whether this is the first fish finder you buy, or your 100th, the FF-003 will always do its job well. The FishHunter Military Grade is made specifically for durability and portability. Another model that utilizes smart device Bluetooth connectivity, the FishHunter 3.0 has great features like GPS mapping, navigation, and tracking. This unit has a depth range of about 5 feet to 133 feet, and can connect to phones and tablets from a distance of up to 150 feet away. The FishHunter 3.0 has several unique features, including the ability to switch between raw data mode and fish imaging mode. The transducer also has a temperature sensor. A great feature about smart fish finders is their ability to receive updates and improvements without the user having to buy a newer version. This fish finder is 100% waterproof and extremely durable. The 380 kHz frequency transducer provides extremely accurate readings, pinpointing the best fishing spots. An innovative feature that the FishHunter utilizes is a night vision lighting on the portable transducer for easier fishing and angling at all times – day or night. 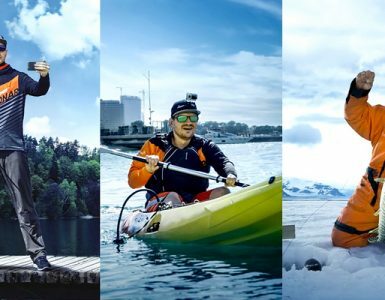 Great for kayak, ice, boat, shore, and bank fishing, the FishHunter 3.0 is also very versatile. This is a very useful model, especially due to its portability. The military grade specifications provide a high-quality product with extreme durability. 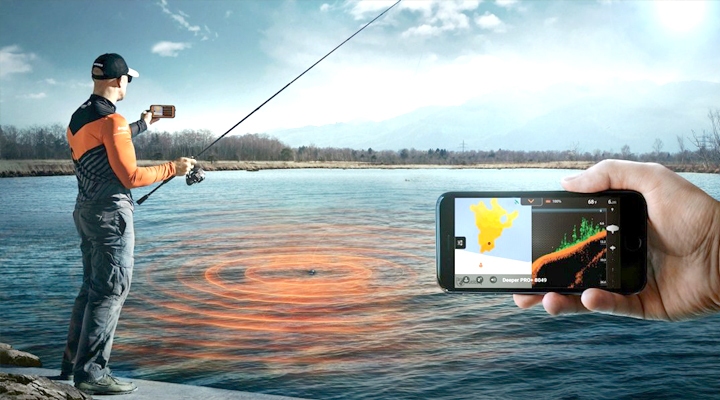 The device is best for people that would like to get right to finding the best fishing locations, as fast as possible. This fish finder is great for all types of fishers and anglers. The fifth recommended fish finder is the Garmin Echo 101. A simple but extremely effective model, the Echo 101 has a 4 inch 256 x 160 and black and white display. This is another model that is not technically portable, but this unit utilizes a special quick release system that increases mobility greatly, to the point it may be considered portable by some fishers and anglers. It has a peak to peak output of 1600 watts, and emits sonar waves at a frequency of 200 kHz, allowing the Echo 101 to give accurate results of up to 1,500 feet deep. The Garmin Echo 101 comes with a trolling and transom mount to increase versatility. The Echo 101 costs $***, and there are removable transducers that allow this unit to seem even more like a portable fish finder. The Echo 101s original transducer has a water temperature sensor, useful for pinpointing fish locations. Again – the Garnin Echo 101 is not technically a portable fish finder. It can be equally as mobile as one, however, with a few adjustments and extra purchases. If you are looking for a dead simple, true portable fish finder, then this model may not be the best choice for you – but its features aren’t complex, but make locating fish so much easier. The Raymarine Dragonfly 4 Pro is an extremely advanced fish finder with sufficient features to suit many fishers’ and anglers’ needs. The Raymarine Dragonfly 4 is $***, but it borrows many of its advanced features from its much more expensive cousins. Some of these features are DownVision, a 50 Channel GPS, CHIRP sonar, C-MAP Essentials, and more. DownVision and CHIRP sonar technology are both innovations that are made to allow users to receive better, clearer, and more accurate readings. CHIRP sonar technology emits more sonar waves and reads responses more often, meaning you get a more consistent and precise result. The Dragonfly 4 also comes with built in wifi, and connectivity to the special Raymarine Wi-Fish smartphone application. The Wi-Fish app allows users to review results, save snapshots, and share media to other websites. The Micro SD card slot also allows for media to be saved and sent to friends. The 4.3 inch backlit display can withstand harsh weather conditions, and is engineered to provide a wide viewing angle. The Dragonfly 4’s advanced transducer has outstanding depth performance of up to 600 feet. The only problem with this model? It is another fish finder that is technically not portable. It has many options that may allow setup time to be reduced, or even eliminated, but the Dragonfly 4 is traditionally a mounted model. Another transducer may be purchased, but many of the specifications available for the original transducer are not featured in removable models. The Dragonfly 4 is another great fish finder, but it is a little more complicated and is not suggested for amateur use. The Garmin EchoMap 44dv is a nice simple mounted model with the advantage of GPS. Though it is not a portable model, it is a versatile and mobile fish finder. The entire selling point for this product is that it isn’t a $*** fish finder, but still has advanced maps and GPS location services. The model retails for $***, but has several features that could allow it to sell for much more. The transducer utilizes dual beam technology, emitting sonar waves at frequencies of either 77 kHz or 200 kHz. DownVu allows for much more accurate and precise readings, making locating fish even easier. A very unique feature of the EchoMap 44dv is the Homeport planning software. This software reports back to a computer that the user sets up, and sends images, readings, and other data to it to be reviewed later. This model also receives GPS location and updates this five times for every single second. A full color, backlit, 4.3 inch color display also makes the EchoMap 44dv a wonderful fish finder for bright, sunny days, or pitch black nights. The EchoMap utilizes a 12 volt battery, and displays speed, depth, and temperature. The EchoMap is simple, great for beginners or professionals and functions great as a fish finder, a simple path planning GPS tool, or as a depth finder. Number two on this list goes to another pseudo-portable fish finder. The Lowrance Elite 3X is a well-known fish finder with many applications, most known in its mounted model. This versatile tool is not restricted to a mount, however. The Lowrance Elite 3X All Season Portable Pack has all the great features of the original 3X with the mobility of a traditional portable fish finder. Unlike the other pseudo-portables, the portable Elite 3X has a powerful transducer made to be as close to the original one as possible. The portable Elite 3X has literally the same specs as its sister unit, with a 3.5 inch LCD display and a dual beam transducer that emits sonar at 83 kHz or 200 kHz frequencies. This model comes with the ability to switch between fish mode and raw data mode, making locating fish one step shorter. The portable Elite 3X even comes with three different transducers – and for $*** you can get the transom mount transducer, the ice fishing transducer, a suction cup for the portable transducer, and the portable battery pack and charger. Depth, temperature, and speed sensors make this another very versatile option when researching fish finders. The 12 volt battery lasts a minimum of eight hours fully charged. Adjustable sensitivity allows for easier location of fish and a more customized result based on user preference and situation. The Portable Lowrance Elite 3X is a really great option, especially for ice fishing, and because it can either be mounted or portable, it is an extremely versatile fish finder. The best portable fish finder for general basic use is the Deeper Smart Fish Finder. Deeper retails for $***, and is basically a wireless transducer with Bluetooth connectivity to make life a lot easier. Instead of worrying about the display size, resolution, whether the display has a backlight, is anti-glare, or any other similar problem, the Deeper allows customers to choose, by connecting it to any phone or tablet that can connect to other devices via Bluetooth. With dual beam sonar emitting technology and 290 kHz or 90 kHz sonar frequencies, the Deeper fish finder has a depth performance of 130 feet. You can stay connected to this device from 160 feet away, so distance should not affect connectivity significantly in most cases. This highly portable model is about the size of a tennis ball, which means you only need to carry this and a phone to start locating fish. Angling, kayak fishing, ice fishing, diving, and countless other activities can be achieved with this handy little fish finder. Using the innovative dual beam technology, you can either scan a wide area to get a general idea of what’s below you, or you can use narrow beams to get more accurate, detailed results. The Deeper also shows a fish icon wherever it detects fish. The depth and temperature sensors of the Deeper fish finder make this a multi-function tool. The Deeper is great for anyone who really wants the most portability, and is willing to sacrifice a bit of functionality for it. Deeper can make anglers lives much easier, whether they consider themselves recreational fishers or professional anglers. Important thing to consider while selecting a portable fish finder is if you don’t carry your personal boat or carry more than one boat. Without having any permanent place to fix a fish finder on a boat makes a space for portable fish finders. You should consider your own fishing scenarios. Portable fish finders are generally less excessive than traditional fish finders, despite the fact that, there are additionally more progressed and pricier portable fish finder models accessible in markets. As it should be obvious from the portable depth finders reviews or surveys. On the other hand, the portable units are as competent as traditionally mounted units. For you it will be a definitive concern for a crisp and clear display. On the off chance that you’re willing to purchase fundamental unit, you should go for fish finder of high-quality display resolution depending upon your fiscal range. If you’re looking for better picture and large depth range, it can only be done by transducer with high powered signal. Try to match the frequency and power with compatibility of application. Picture will be better and cover noteworthy scope of profundity if higher sign force is generated by transducer. Attempt to coordinate the force and recurrence to the application. For clear picture quality and profound water, buyers should settle on 250 watts power of RMS and peak to peak 3000 watts. Portable fish finders currently available in markets to be purchased are based on latest technologies and innovations and are easy to manage and maintain. If you already are carrying a high functionality phone then portable fish finders are even ready to be seen and controlled with an application on your cell phone like iPhones, iPad and so forth. This list is designed for generous purpose fishers that want maximum mobility, and would prefer ‘true’ portable fish finders. Depending on your specific needs, other fish finders may be better. The best fish finder on this list regarding features, price, and overall specifications would be the Elite 3X portable pack, but because it is not a true portable fish finder it came in second place. The Raymarine Dragonfly 4 Pro is also another great fish finder – it’s just not mobile enough. The Deeper fish finder can be used for kayak fishing, shore fishing, ice fishing, bay fishing, angling, and several other applications, and is extremely portable. This is why it received the number one spot. There are several fish finders on the market, this list was made to help you narrow down your search for the perfect one for you. 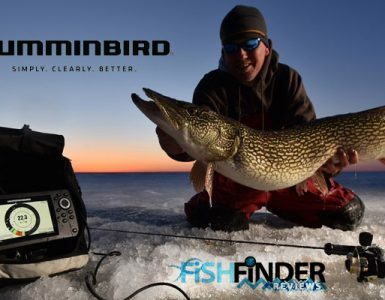 Reading fish finders is perhaps the most important factor of buying one; if you can’t read one, it doesn’t matter how much money you spend on one. Transducers types are also essential to understand, because you wouldn’t want to purchase a fish finder just to find out it was not the optimal transducer type for your vessel. To better understand fish finders and their functions, you can look at this Youtube video. Hopefully this article has cleared up some confusion, explained some terms, and helped you on your journey to purchasing a fish finder.